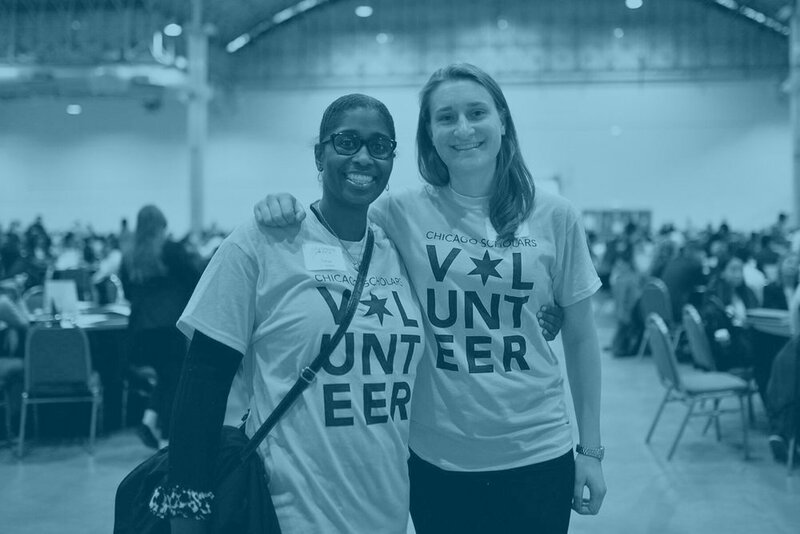 Our volunteers play a fundamental role in helping so many deserving students get the chance they need to succeed through college and after graduation. Be part of our community of people who believe that we can do better for our youth and who share in our mission and vision for the city. There are many ways to get involved. Join the Chicago Scholars movement by volunteering or you can get involved with our various programming opportunities. Support Chicago Scholars on their path to college by helping with writing and revision of materials for college and scholarship applications. Volunteers work closely with Scholars in small groups and one-on-one. Our Onsite Admissions Forum is an event where our talented Scholars interview with admissions representatives from match-fit colleges they have applied to around the nation. Many of our talented Scholars receive college admissions decisions and merit aid scholarships on the spot. As an interviewer, you will have the opportunity to meet and interview talented Chicago high school students who have applied to become a Chicago Scholar. Interviews take place at host locations throughout downtown Chicago and typically take place just after the work day. Our New Scholar Orientation kicks-off our programming with our newest class of Scholars. This orientation is filled with workshops and info sessions, and is when Scholars meet their mentors and college counselors for the first time! Join us as we celebrate our Scholars as they complete high school and head to college campuses! We honor our Scholars' hard work and dedication as they announce their college decisions.